Your student accommodation is minutes from some of Paris’s most popular tourist attractions, so take a stroll to the grassy lawns of Champ de Mars for an outdoor study session beside the beautiful Eiffel Tower. For the best views across the city, head for nearby Tour Montparnasse. Take Europe’s fastest elevator 210m up to the terrace – on a clear day, you can see for 25 miles. Later, tour Montparnasse Cemetery, the final resting place of Baudelaire and Sartre, then catch up with friends for coffee and croissants at Café de Flore or Les Deux Magots, two of the city’s most famous literary cafés. 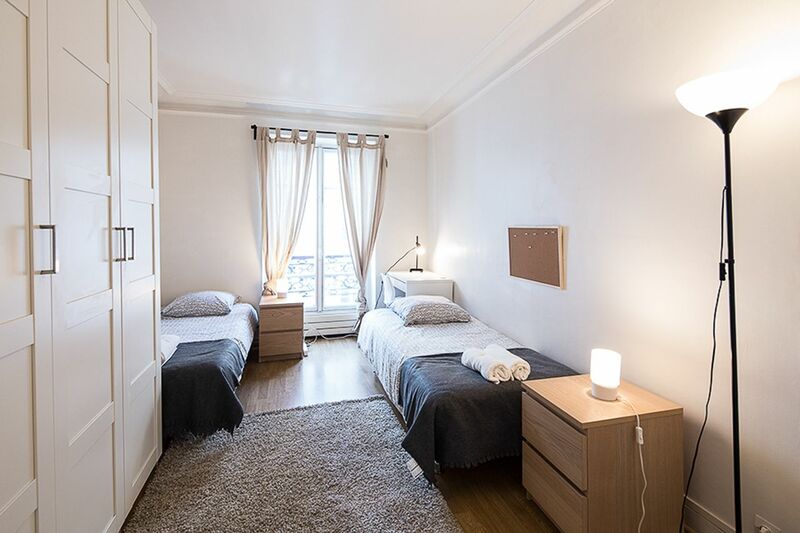 You’ll enjoy a quick and easy commute to all of Paris’s main universities from your home at Comforts of Home - 75 rue de Lourmel. 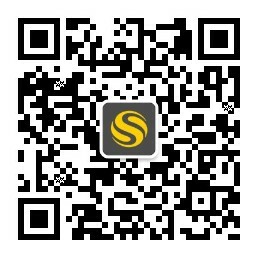 Catch the metro and reach École Normale Supérieure and Université Paris-Dauphine in around 30 minutes. Ride to Université Pierre et Marie Curie in 25 minutes, and The American University of Paris in 20 minutes. When you want to travel farther afield, you’re 35 minutes from Gare du Nord international train station. 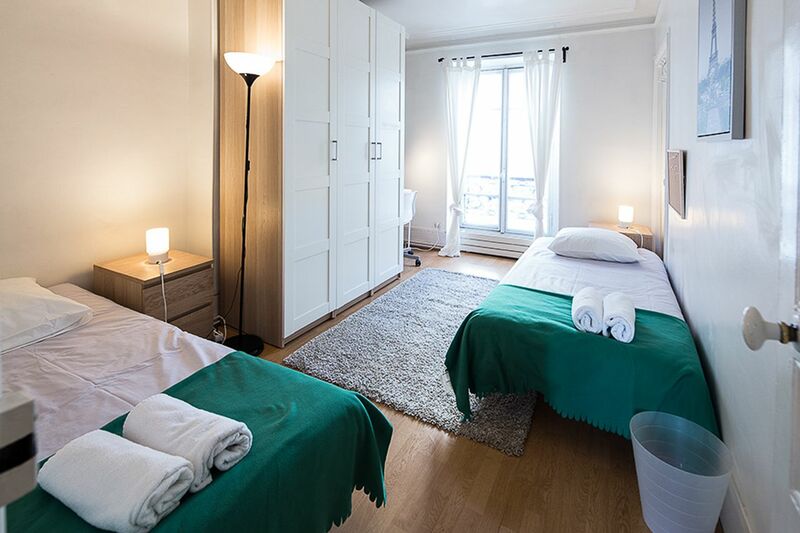 You’ll live like a local in your apartment at Comforts of Home - 75 rue de Lourmel, which is located in a residential neighbourhood, just minutes from the nearest metro station. With two double bedrooms with twin beds, you can save money by sharing with a roommate, or if you prefer having more space to yourself, opt for single occupancy. Pick up supplies from the nearby supermarket on your way home, then make dinner in your fully equipped apartment kitchen. If you don’t feel like cooking, meet friends across the road in Mazeh, which serves delicious Persian food. When you need to research your latest assignment, retreat to your room and connect to the free Wi-Fi. All tenants are required by the landlord to pay a €3,000 fee but you won’t have to worry about incurring any extra costs when you move in because all utilities are included in your rent, and there’s 24/7 emergency assistance and an on-site maintenance team. There’s a washing machine and drying rack in every apartment, so you can keep on top of your laundry. Don’t worry if you don’t speak perfect French — there’s always a native English-speaking customer service assistant on hand to help. Wir haben leider keine Unterkunft gefunden, die deinen Wünschen entspricht.Alle Mehrbettzimmer in Comforts of Home - 75 rue de Lourmel ansehen. 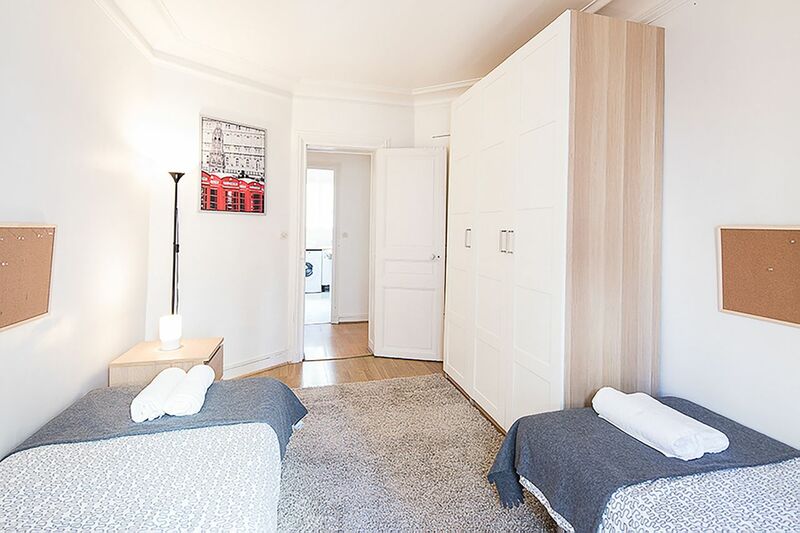 Wir haben leider keine Unterkunft gefunden, die deinen Wünschen entspricht.Alle Privatzimmer in Comforts of Home - 75 rue de Lourmel ansehen.